Kingship in Israel and other ancient Near Eastern societies is a major focus of modern scholarship and has produced fascinating results. After the 13thc B.C.E., the highlands of Israel were increasingly settled. Society was organized tribally, and there was no capital city. According to the Bible, after c.1025B.C.E., a new centralized political system arose, first under Saul, and then David and Solomon. This is the era of the United Monarchy. After Solomon‟s death (c.922B.C.E. ), the single kingdom was divided into two kingdoms, “Israel” in the north (capital city: Samaria), and “Judah” in the south (capital city: Jerusalem). This divided situation is the one described in ancient Near Eastern texts, for instance, Neo-Assyrian records. These records are silent, however, concerning the earlier United Monarchy, and there are fierce disagreements about whether the archaeology of ancient Palestine points to its existence or not. Empire, when Jerusalem was captured. From then on, these lands were not independent states with their own kings, but colonies ruled by governors, in a series of Near Eastern empires. 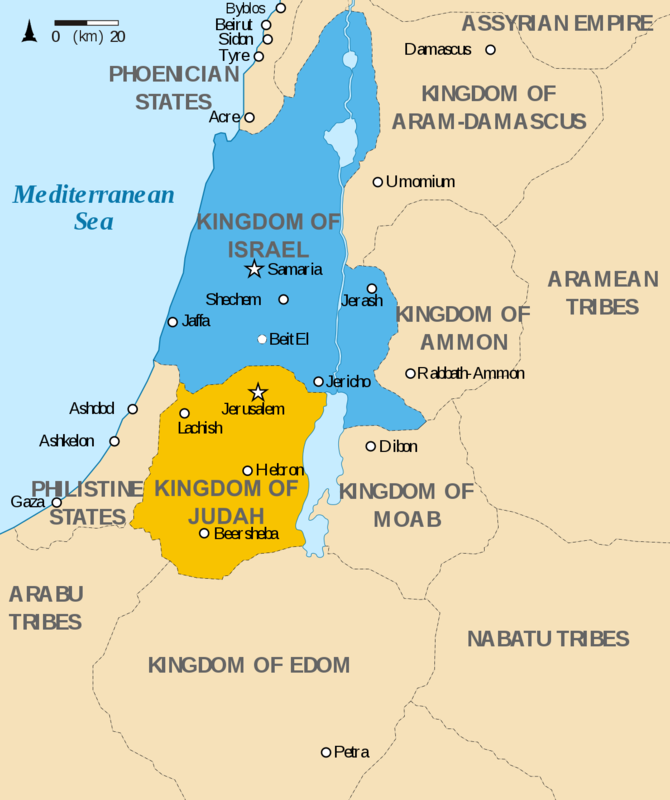 The kingdom that David had founded had lasted just over four centuries. In the ancient Near East, people who lived in rural or hard-to-reach places were often not ruled by a king. Their societies were usually small-scale and tribal, like early Israel. But practically without exception, where there were cities, there were kings. These kings also ruled the towns, villages, and farmland around the city. In some cases, a kingdom included several major cities. This was true of ancient Egypt, Assyria, and Babylonia. Kings made great achievements by organizing and controlling resources (including manpower) on a large scale. The great pyramids that still stand in Egypt are a staggering example of this. Kings often built temples, fortified cities, and mustered armies for war. Whether or not the labourers involved had any choice in the matter, many of these activities were aimed at benefitting the community as a whole: a great temple pleases the protecting god; a well-fortified city protects its inhabitants; an army can fight off invaders or expand a territory; etc. It is easy to see how a king, the facilitator of all this beneficial work, might become a figure of national pride and love, as a great builder or a warrior. Indeed, most ancient Near Eastern writing about kings is positive. 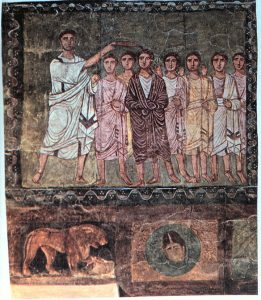 For instance, a common title applied to ancient Near Eastern kings is „shepherd of the people‟, which shows how they were seen as essential for the wellbeing of their „meek‟ subjects. Without a doubt the kings themselves encouraged these positive titles, and they had the power to, since writing was one of the resources that a king controlled. Because of this, the texts we have that talk about kings probably only tell half the story about their lives and deeds (i.e., the good bits! ), and the good they did for their people. Kings also used painting and sculpture to convey messages. This was probably more important than writing, since most people in the ancient Near East could not read. Kings invested a great deal of resources in images of themselves that showed their power and strength, and we often see kings as mighty heroes in vivid scenes of combat. 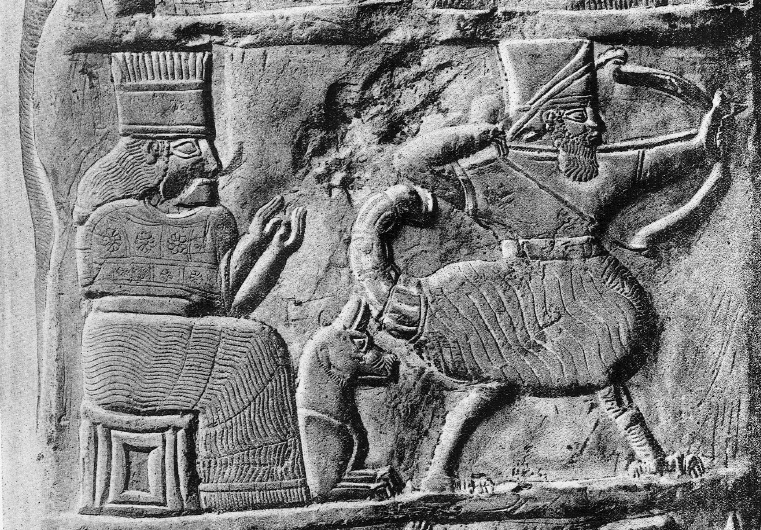 For instance, violent and unrealistic scenes of the Neo-Assyrian king Asshurbanipal (7thc B.C.E.) 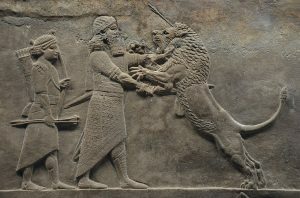 hunting and slaying lions covered the walls his palace in Nineveh. Such images of strength reassure the people that their king is capable of protecting them, and they also subtly warn the people against opposing such a strong figure. 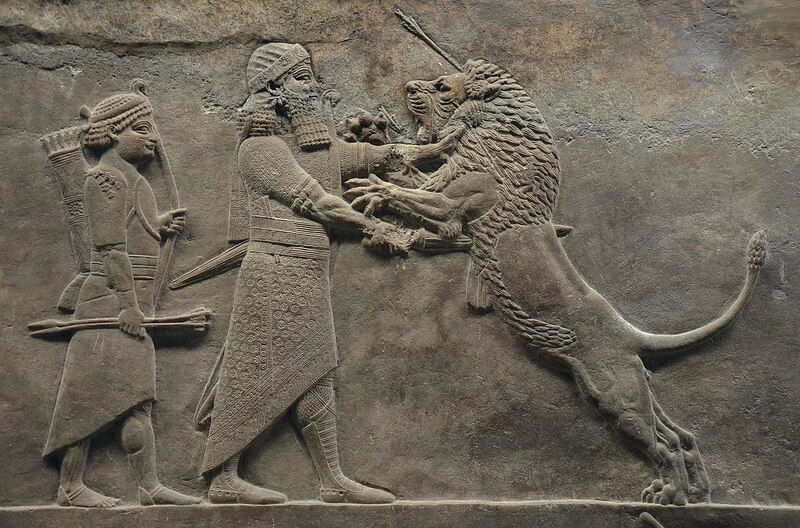 Kings in the ancient Near East were often looked on as superhuman, as more than mere mortals, since they accomplished grand projects that no mere mortal could carry out on his own. In ancient Egypt, the pharaoh often bore the title „the son of Ra‟, the sun-god. Mesopotamian texts also stress the close relationship between gods and kings. For instance, King Samsu-Iluna of Babylon (18thc B.C.E.) quotes his god, Enlil, as follows: “Samsu-Iluna is my mighty and untiring envoy who knows how to carry out the desire of my heart.” Statements like these give divine approval to a king‟s exercise of absolute authority over a nation. 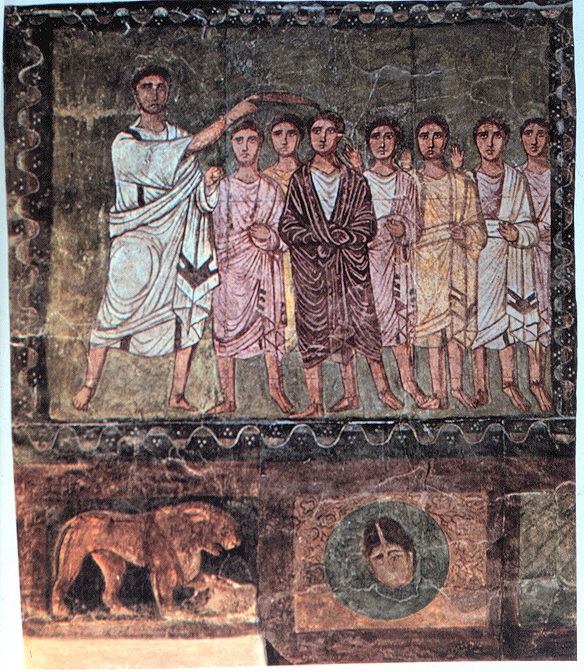 Justice was a major responsibility of ancient Near Eastern kings. The king was the highest judge in the land, and his court was the final court of appeal in disputes. Kings were often depicted as the defenders of orphans and widows, that is, of people who lacked a man to argue their case. King Hammurapi, Samsu-Iluna‟s father, published a famous early set of laws, showing how he was the guarantor of justice for his people. In some texts, the justice that the king maintains takes on cosmic proportions. The Akkadian word mīšarum and the Egyptian word ma’at, both terms for „justice‟, come to mean the orderliness of the world, its safety for humans to live in. The king is engaged in the struggle against forces that threaten this order (foreign armies, injustice, etc. ), much as in many ancient Near Eastern myths the king of the gods defeats turbulent cosmic monsters. Very few queens reigned in their own right in the ancient Near East, where most cultures were patriarchal. In many of these societies, however, as in ancient Israel, the king‟s mother (the „Queen Mother‟) played a more important role than his many wives. This is related to the fact that it was often the king‟s mother who had fought hard to get her son, rather than the son of another royal wife, on the throne. The story of Solomon‟s rise to the throne is a dramatic account of such a situation (I Kings 1-2). In many ways, the Hebrew Bible presents kings according to this ancient Near Eastern model. Saul is mighty warrior, Solomon a great builder. The king‟s role as judge, and as the advocate of the helpless, is described enthusiastically in Psalm 72. There, it is clear that his struggle for „justice‟ (Hebrew mišpaṭ) ensures more than just lawfulness; it brings peace and fertility, habitability, to his land. The king‟s relationship with the god of Israel, YHWH, is often presented as extremely close. A key passage for this is II Samuel 7, where YHWH promises David that his dynasty will rule Israel forever. YHWH says, about David‟s son, “I will be a father to him, and he will be a son to me.” Several psalms express this sentiment more poetically. In Psalm 2, YHWH says to the king, “Today I have begotten you.” This psalm was perhaps sung at coronations. Psalm 89 contains a beautifully symmetrical picture of YHWH, the king in heaven, and David, the king on earth. Both figures are beyond comparison with other beings in their realms, and YHWH guarantees victory and honour to David and his descendants. Here David seems to be the tool YHWH uses to rule on earth, his deputy or viceroy. This thinking is present within modern religious institutions, such as the Roman Catholic Church, where the pope is considered to be Christ‟s vicar (Latin: „deputy‟) on earth. In contrast, political power in modern secular democracies is theoretically separate from religious authority. Unlike ancient Israelites, we think of the power wielded by heads of state as coming from the will of the people, rather than from God. While the texts just mentioned may have come from the royal court, what is unusual about the Hebrew Bible among ancient Near Eastern texts is that it may preserve writings that did not come from official circles. One of these is perhaps I Samuel 8. This text, set before there were kings in Israel, is not positive about the relationship between YHWH and the king. 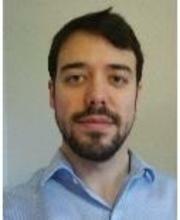 In fact, it sees the two as rivals for the people‟s loyalty. In this passage, the people ask the prophet Samuel to appoint a king for them, so that he can carry out many of the standard royal functions (e.g., waging war to defend them). But YHWH complains that in doing so “they have rejected me from being king over them.” Is he not their provider, their military saviour, their shepherd? YHWH is undoubtedly the mightiest and most majestic king in the Hebrew Bible. He sits above the fearsome cherubim, which often flank the thrones of ancient Near Eastern kings in drawings and carvings. The word used for his residence, hêkāl in Hebrew, which we normally translate „temple‟ in English, originally meant a king‟s palace („big house‟ in Sumerian) and can be used for a human king‟s house in the Bible. Often in the Bible, YHWH is found presiding over a council of divine beings, a royal court in heaven. Much of the Hebrew Bible was written when Israel no longer had kings and reflects the fascinating afterlife (or memory) of Israelite kingship. One important example is the figure of the Messiah. The Hebrew term māšîaḥ, meaning „the anointed one‟, refers to a ritual of pouring oil on the head of the king-to-be, perhaps at coronation. Egyptian and other texts suggest that this ritual expressed a superior‟s choice of an inferior for some special role. YHWH refers to the king as „my Messiah,‟ and „Messiah‟ becomes a title for the kings of David‟s line. Already during the monarchy in Israel, this title carried powerful mythical associations (see Psalm 2). In later literature, (e.g., Isaiah 60, Zechariah), the Messiah was a future royal figure, who would carry out all the functions of an ideal ancient Near Eastern monarch (military saviour, ruler, judge, etc.). This figure still had power in New Testament times, since “Christ‟ (Greek christos), a direct translation of Hebrew māšîaḥ, was applied to Jesus, conceived of as the son of God, much like the king of Israel. The afterlife of Israelite kingship has turned out to be much longer than the four-hundred-and-fifty odd years that there were Israelite kings. The metaphors of God as king and royal shepherd still resonate, although they have lost their connection with current political realities. 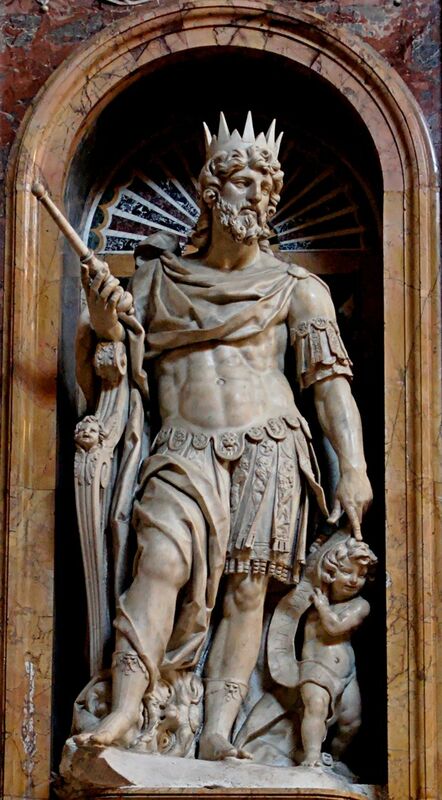 And the Messianic Son of God figure remains for many a focus of hope and a symbol of salvation, while many across the globe strive to replace earthly monarchies with democracies. Through these and other traditions, the kings of the ancient Near East speak to us still. Originally published by the Society of Biblical Literature under the terms of a Creative Commons license. This entry was posted in Ancient, History, Israel, Mesopotamia, Near East. Bookmark the permalink.